Smart Signs Solutions is a young and innovative international organisation with an excellent track record. Our team comprises technical innovators with a clear focus on the human factor. This means that we use innovative technology to develop user-friendly, practical applications. Our focus is on personalised, dynamic information systems within buildings. Intended as both a management tool for building managers and a service to users. Our aim: to contribute to a more efficient use of working space and a friendlier environment for users. 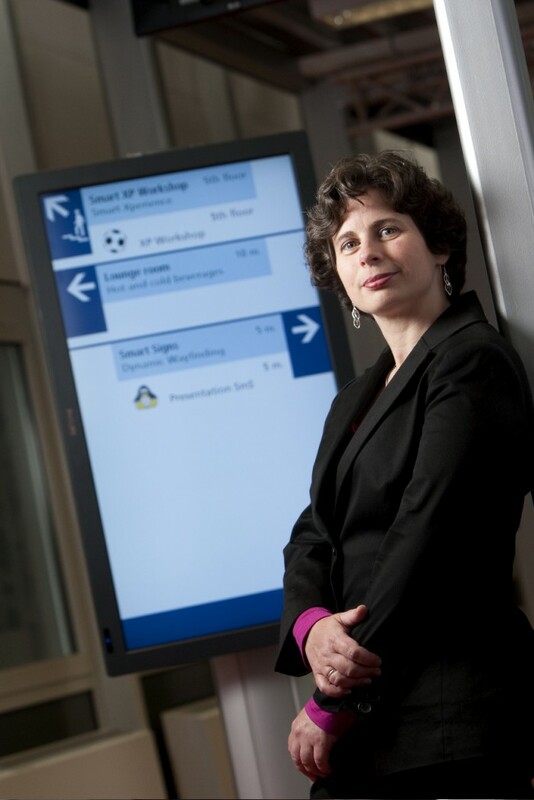 Smart Signs Solutions is a spin-off of the Smart Surroundings research project conducted at the University of Twente. The organisation was founded in 2008 by Dr Maria Lijding with the aim of further marketing the concept of personal dynamic signage in larger buildings. 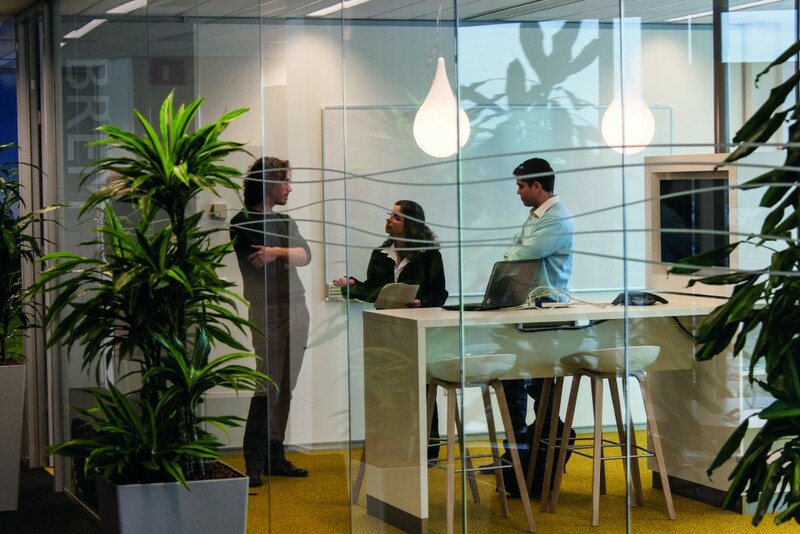 From our offices at the Business & Sciencepark in Enschede, we work continuously on the further development of intelligent systems. We help you make smart and efficient buildings become a reality. Smart Signs Solutions is a member of an international network of organisations that promote the practical application of technical innovations in Europe. In addition, we regularly cooperate with governments, leading companies and research institutes, as well as with user organisations. Smart Signs Solutions believes that people can experience hospitality and professionalism without this placing additional pressure on your staff. This can be achieved using ‘smart’ technologies. Our vision: to provide businesses and their staff with relevant, up-to-date information whenever and wherever they need it. All our concepts have been developed in co-creation with customers at all levels; from managers and ICT workers to flex workers, nurses and visitors. As a result, besides being smart, the concepts are also highly user friendly. Each concept provides a complete and innovative information system, consisting of various ‘smart’ components that cooperate perfectly. You and your staff will therefore have access to relevant up-to-date information whenever and wherever you need it. Visitors will be able to easily find their way to their appointment. Flex workers will be able to see where a suitable workplace is available as soon as they enter the building. 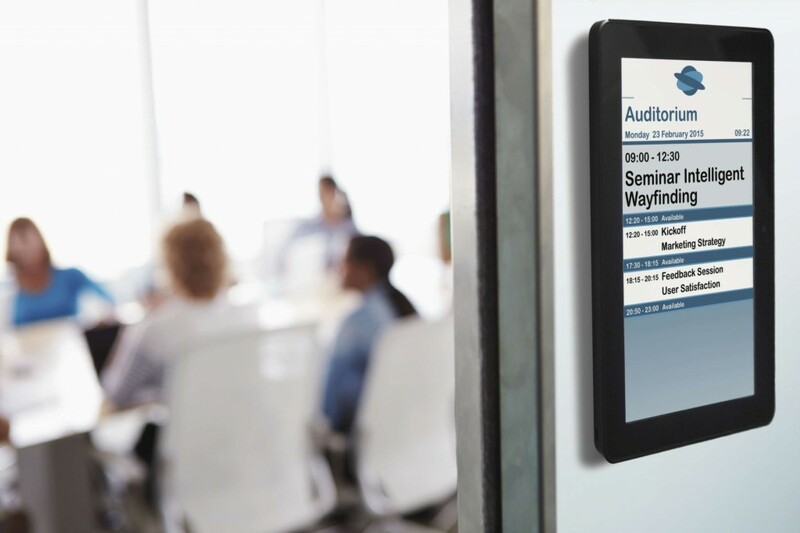 The dashboard and our reports will provide your facility manager with insight into both historical and current occupancy rates of the various rooms. In short, Smart Signs Solutions creates insight and overview, opening the door to the further professionalisation of your organisation. At Smart Signs Solutions we take a project-based approach because your organisation is unique in terms of wishes and possibilities. For every assignment we commit ourselves to successful completion and to customer satisfaction. A thorough assessment forms the basis for the bespoke solution we will offer you. This means that the solution will always match seamlessly with your organisation’s identity and requirements. We help explore the possibilities and provide support after completion until you are entirely satisfied. Our helpdesk will also be available to you at all times. We use state-of-the-art technologies, combining ‘smart’ software with modern communication hardware. We have thus developed a compatible and flexible software platform. Innovative, energy saving, wireless and, above all, effective and user friendly. A platform that will easily integrate with your own system. You can expect an appropriate solution for both simple installations, and more elaborate, complex situations. With the right combination of components and the addition of your corporate identity, we will always meet your wishes and requirements to the full extent. Smart Signs Solutions believes that people can experience hospitality and professionalism without this placing additional pressure on your staff. That is why we have developed an innovative, user-friendly concept: Smart Hospitality. 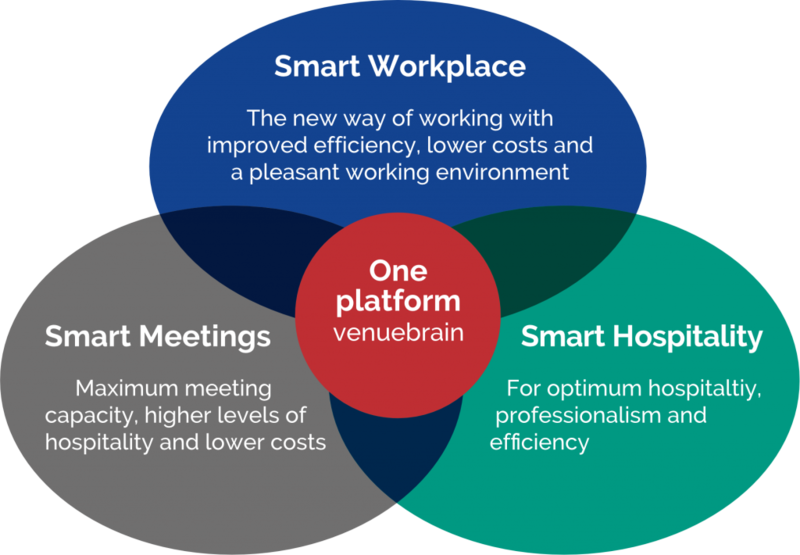 This concept has been carefully tailored to meet the needs of organisations in large office buildings such as conference centres and healthcare institutions. Monitoring is sometimes only required temporarily. For example, if you are attempting to save operating costs, temporary workplace monitoring can provide insight into actual occupancy rates of the available work space. Or, if operating at a temporary location, you want to register, inform and direct visitors. All our Smart concepts can be deployed temporarily. There is so much more we could tell you about the many uses for Smart Signs Solutions. So if you would like to know more about professionalising your organisation, and are curious about how easy it is to use our concepts, do please contact us. We would be happy to arrange an appointment without any obligation.